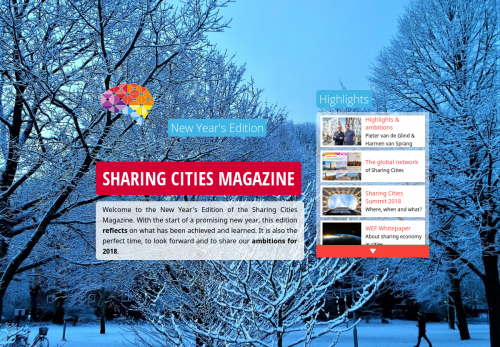 Welcome to the New Year's Edition of the Sharing Cities Magazine. With the start of a promising new year, this edition reflects on what has been achieved and learned. It is also the perfect time, to look forward and to share our ambitions for 2018.